Like taking advantage of my sweet baby and making him be cupid this year. I really wanted to have him flying in the same shot, like I did with Tessa in the Christmas cards, but logistically could not make that work this year, so I Photoshopped him (much smaller) on to each card. The other addition I made was to cut a conversation bubble out of a large craft foam sheet and lay it down on the background so it could look like the kids are talking. For my son, I just entered his generic message, but my daughter wanted to take advantage of the conversation bubble to write a special message to each of her friends. The saying was totally his dad’s idea! I love it, even though I don’t think the first graders will get it. *sigh* We printed these out as 4×6 photos and used a small hole punch to make room for the sucker. I told my daughter that she was the love fairy and got her to pose for some cute pictures, too. She was disappointed not to be holding a sucker, but this will be easier to mail to Grandma and Grandpa! (Cupid is again, Photoshopped in). Happy Valentine’s Day! 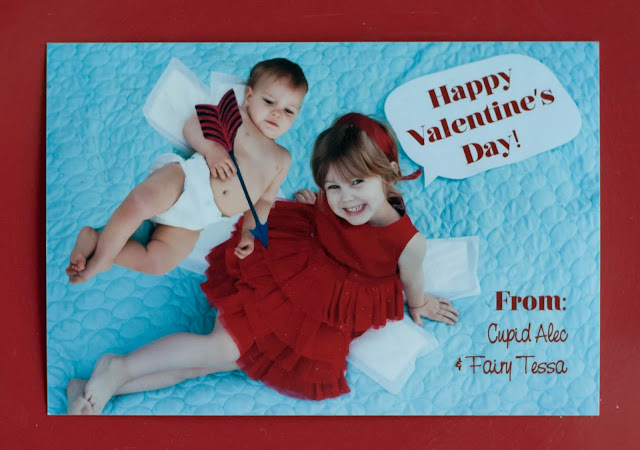 I hope cupid found you this year, too! 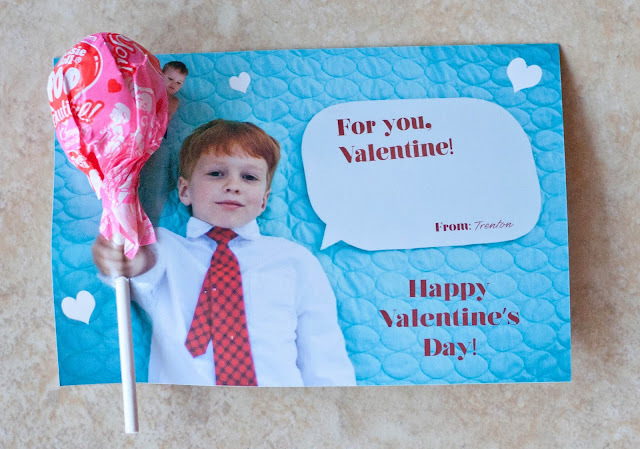 We went this route too with my daughter's preschool valentines! Super cute. what a darling idea! they turned out awesome! Awwwww! I love him as cupid! These are so fantastic! Beyond A.D.O.R.A.B.L.E!!! You've inspired me to step up my game next year… we just got some 'eh store-bought. These are so fun!!! Love these Kendra! Especially the speech bubble! What a fun addition. Filing this away for future usage. You're the best! too cute! 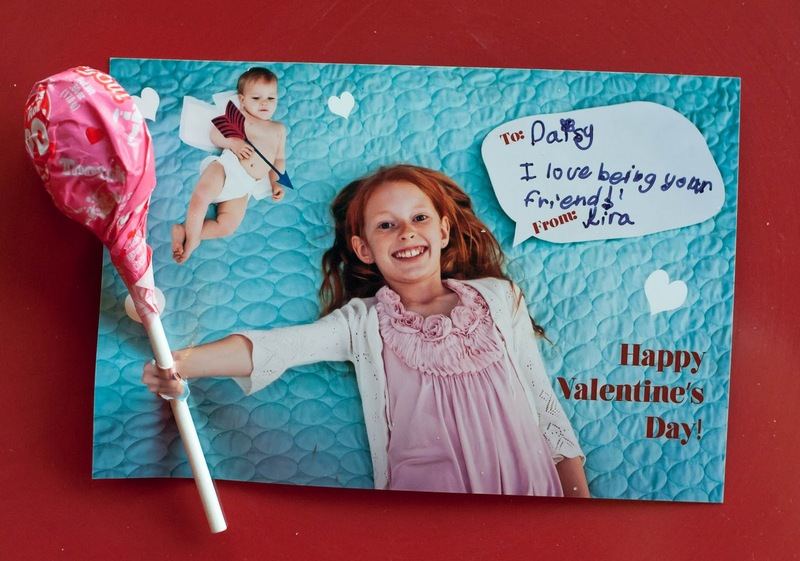 Your kids have the best valentine's! 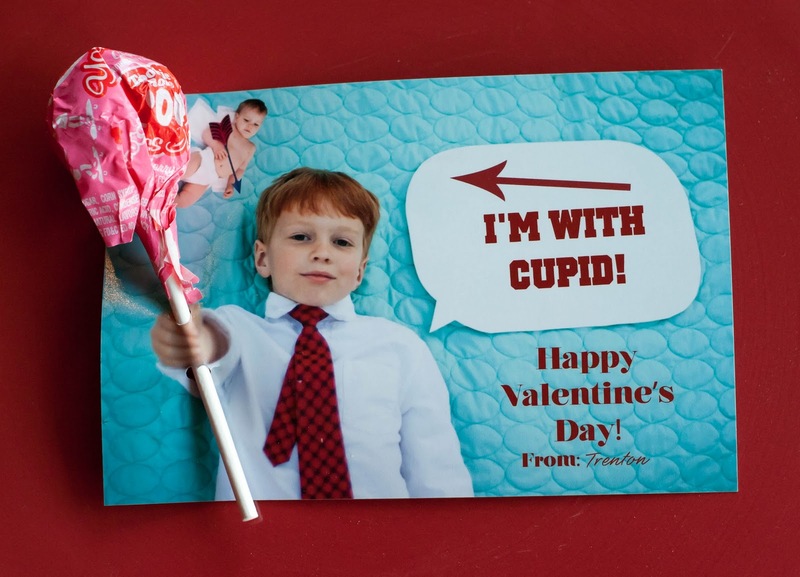 Love the cupid. And the I'm with Cupid sentiments. Too funny. Also, I think I have that same quilt for my daughter. Is it from Target? Yes, yes, and a thousand occasions yes!